Ah! 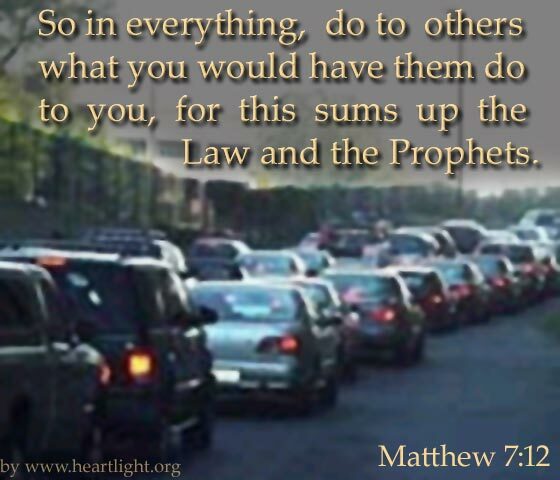 The "Golden Rule" is so straightforward, isn't it? Sometimes we make things, especially religious things, far too complicated and complex. I love the Bible because it is so often practical and plain when God deals with our behavior. You want to know how to treat someone? Then do for them what would be a blessing if it was done to you! If it wouldn't bless, encourage, build up, support, comfort, or help you, then don't do it to them. If it would hurt, wound, depress, spite, or discourage you, then don't do it to them. Treat others with the same dignity, kindness, love, respect, and tenderness with which you would like to be treated. Simple to understand; revolutionary to do! Almighty God, thank you for making some things so simple to understand. Please fill my heart with your love as I try to live the "Golden Rule" in my relationships. In the name of the Lord Jesus I pray. Amen.